To explain how sound can change the world involves the various frequencies of the Planets. This is best symbolized by the Kabalistic Tree of Life. Although considered Jewish,The Tree of Life is an ancient universal symbol that acts as an aid in understanding consciousness and Creation. An enlarged Tree of Life is reproduced below, with a detailed explanation of how each component affects us. Judy Bernard graciously allowed inclusion of her information from the GONGS & FORKS entry on (last 5 entries on list). Judy has been a practitioner and instructor of Acutonics® Sound Healing system for the last 6 years. To visit her web site click on the: Gongs Of Change navigation button located to the right of this entry. As you can see, the Tree of Life consists of four planes, which represent the four main elements of Fire, Air, Water and Earth. However, they also represent four levels of consciousness, and can explain how we create. The Archetypal plane is where the thought or idea starts. This could be seen as a flash of inspiration – The Creative plain is where the idea becomes structured, in other words imaged or imagined. The Formation Plane is where the idea is seen in the minds eye i.e., visualized and given form. The final level, The Active or material Plane is where the idea is materialized. Greg Braden and Masura Emoto’s investigation into our thoughts and feelings affecting matter, perfectly demonstrates how the four planes work. The Creative plane is also the Mental plane and is where our reality is structured. When we involve our emotions, then our thoughts, whether they be good or bad begin to take form. It is only a small step to the materialization of those thoughts in the active or material plane. This is what we are demonstrating in the PNEUMA-YOD videos. How fear can lead the world into chaos and destruction, but that if we can let go of the fear, we can bring heaven to Earth. Mr. Braden and Mr. Emoto’s dedication to bringing us the understanding of how we all can affect the world is so ground breaking that I think a brief summary of their work is called for. 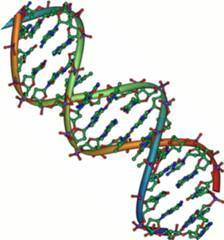 I will begin with Greg Braden’s discoveries of the effects of thoughts and emotions on DNA. Another fairly recent discovery also shows how thoughts and feelings can affect matter. Masaru Emoto made the discovery that water crystals reflect the energy they are exposed to by actually changing shape. I found the most comprehensive explanation of Mr. Emoto’s work on the web site Miraculous Messages from Water; www.life-enthusiast.com/twilight/research_emoto.htm. “The photographs and information in this article reflect the work of Masaru Emoto, a creative and visionary Japanese researcher Mr. Emoto has published an important book, "The Message from Water" from the findings of his worldwide research If you have any doubt that your thoughts affect everything in, and around you, the information and photographs that are presented here, taken from the book of his published results, will change your mind and alter your beliefs, profoundly. From Mr. Emoto's work we are provided with factual evidence, that human vibrational energy, thoughts, words, ideas and music, affect the molecular structure of water, the very same water that comprises over seventy percent of a mature human body and covers the same amount of our planet. Water is the very source of all life on this planet, the quality and integrity are vitally important to all forms of life. The body is very much like a sponge and is composed of trillions of chambers called cells that hold liquid. The quality of our life is directly connected to the quality of our water. As my focus is on sound healing, I was astounded to see how water crystals are affected by what sounds they are exposed. We all know how music affects us, with some music soothing us, while another type will grate on our nerves. It is very thought provoking to compare frozen water crystals reaction to two very different types of music. Water crystals exposed to heavy metal music (left). Water crystals exposed to Classical music (left). There is simply no denying the difference. Considering that our bodies are at least 70% water, maybe we need to pay attention to how the music we listen to, makes us feel. As Craig has dealt with the energy wave from a scientific perspective, by discussing the Mandelbrot Set and Tortion Fields in the difference between the two videos, I will move on to discussing the planetary placements on the Tree of Life. For instance, on the above Gong Tree of Life, Nibiru is in the position of Malkuth, which is traditionally assigned to Earth on the Kabalistic Tree of life. – and the tuning forks (for the progressed) placements. 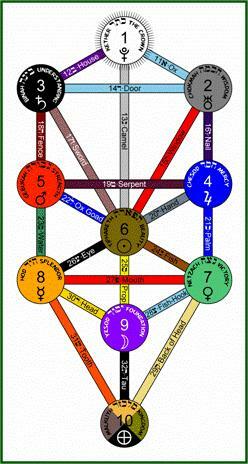 To start with the basic structure of the Tree of Life, each tree contains 3 pillars, on 4 planes, holding a total of 11 Sephirot. The three pillars’ signify Severity on the left, Mercy on the right, and the pillar in the middle represents Mildness. The four planes correspond to the four elements of life. Plane one is called Atziluth, whose element is fire. Plane two is Briah whose element is Air. Plane three is Yetzirah whose element is water and last but not least is plane four Assiah whose element is earth. Each of these four planes and elements represent a vibration or frequency, with Atziluth or plane one being the highest or lightest and plane four being the densest or heaviest vibration. Each Sephirot contains an archetypal vibration, which manifests that energy here on earth or within us (human beings). An archetype was a difficult concept for me to understand. 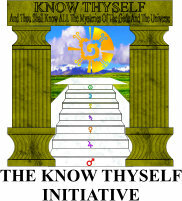 Caroline Myss in her book Sacred Contracts defines, “archetypes as your energy guides to your highest potential” (pg. 106). Ms. Myss’s definition really helped me start making sense of this concept. What helped me more was to start understanding vibration or frequency. Everything in our world is a vibration and we are essentially large finely tuned vibration receivers. Our eyes receive vibrations and then our optical region of the brain tells us what we see and what colors it is. Our hearing works the same, we hear a vibration, it wiggles the small hairs in our ears, creating a vibration in our auditory system, which then reads and tells us what it is. We know sound exists even if we can’t hear it, we use this principle in dog whistles, we can’t hear the vibration or sound of the whistle but the dog can, and comes running. While this is really simplifying the biological functions of our eyes and ears, as well as vibration or frequency theory, it is the bases of how they work. We have vibrations or frequencies around us all the time and science is just now understanding how they affect us, both positively and negatively. We are mostly water and vibrations travel faster in water than in the air, so physically we are great vibration resonators. Back to archetypes, they have certain vibrations that as a human, or as a culture we all identify with. An example is the full Moon, take a minute and think of a night when the Moon is full. What comes to mind? If you are outside it’s brighter out, it may feel safer. The full Moon brings light to the dark night. You may think of coolness, because the night air is cooler. If you are a sailor, you may think of high tides, because the Moon pulls the tides in the ocean. If you work in the emergency room at a hospital you may think of chaos, strange accidents and being really busy. If you work in customer service, people may be demanding, moody, and hard to please and overall crazy. These are all vibration manifestations of the full Moon energy. Archetypically it is said throughout history, in a variety of cultures that the full Moon represents: bringing things to light, and safety, and coolness. In addition, the Moon rules the ocean tides, the water in our bodies, especially women’s menstrual cycles and human emotions. Another name for the Moon is Luna, which is where the word lunacy comes from. We don’t have to know about the archetype or even understand it, to have it create an influence on us or other people around us. When we receive the vibration, if we resonate with it, we then create it. It is only when we increase our awareness that we start to see patterns in our lives. These patterns are the vibration manifestations of the archetypes. Once we are aware of them, we then can use other vibrations to shift our re-occurring patterns in our lives, in our bodies, and even in our minds. We call this healing; it is a vibration change in the way we operate, biologically, mentally, emotionally and spiritually. Old patterns or vibrations no longer resonate with us, so we don’t create those vibrations any more. An example is that abused children can often grow up to become child abusers, however we all know people who had horrific childhoods and become wonderful parents. This change occurs because the individuals made a conscious choice to change the way they responded to children. In other words, they changed their vibration. We don’t have to know or understand everything about archetypes or vibrations to begin to use them and enjoy them. For example, although microwaves (microwave theory) are a mystery to me, microwaves still cook my food. TV is another example, I don’t know how the vibrations (airwave signals) get to my TV, but I sure do enjoy watching the shows. On our journey through the tree of life and the planetary vibrations in each Sephirot, we will begin at #10 Malkuth, the densest vibration called planet Earth, where we are, and move to the lighter vibrations in the other Sephirot. This will help us understand our journey towards enlightenment (getting lighter), or raising our vibration. The tuning forks and the gongs are the vibrations of the planets; each planet has an archetype, which we will be discussing. These planetary frequencies were mathematically calculated based on the planets orbital properties and then brought into an audible range for human ears, by Hans Cousto and Donna Carey. The tuning forks and gongs are from the Acutonics® system of healing. (www.acutonics.com) Acutonics® is a registered trademark of the Kairos Institute of Sound Healing, LLC. Each planet has three tuning forks, a low vibration (L), a middle vibration (M), and a high vibration (H). The low vibration works best on the physical being, or denser material, where as the higher vibrations work on more spiritual matters, the middle range works on the mind and emotions. If I don’t specify whether a tuning fork is low, middle, or high, then all three vibrations are represented. Now that we have the basics, let’s start our journey. As I said, the Tree of Life above, depicting the Paiste gongs as the ten Sephirot, has the Paiste gong Nibiru in the place of Malkuth, not the Earth gong, as is usual. This is because; I wanted to reflect what I used in the video. The sound vibration of Nibiru was used to shift the vibration of matter; hence the title “Gongs of Change”. Having said that, the traditional planetary placement for Malkuth or Kingdom is the Earth. The tenth Sephirot, or Malkuth represents the completion of time on earth, the physical, material, and active world. It is the combination of all the elements that make up the earth and is consciously represented by Creative Imagination, as the material world is created by our imaginations. Malkuth is located on the 4th level of the Sephirot that is called the Assiah world, which is the active world. The accepted planetary energy of this Sephirot is the Earth. However, as I said the planetary energies are dynamic. This means that when the planetary frequencies of Malkuth are updated, Saturn (L) and Venus (L) join the Earth. In the progressed tree, the vibration frequencies of the tuning forks held within Malkuth are the Lower denser vibrations of Earth, Earth Day, and Nibiru. I will cover the updated placements first. The Earth Day fork is the sound of the earth spinning on its axis. It wakes us up, like a cup of coffee. It balances us with the daily rhythms of day into night and night into day. The color of the fork is forest green. The Nibiru planet has come into our solar system to help humans access our deepest beliefs, emotions and genes that are NOT of our divine origin and nature. Once you realize that many of your beliefs are not even yours, you can easily find out the truth of your heart and your divine purpose. Nibiru then restores us to balance and helps us grow on our evolutionary path. Nibiru awakens your spirit by illuminating what is Not you. The fork color is red-violet. 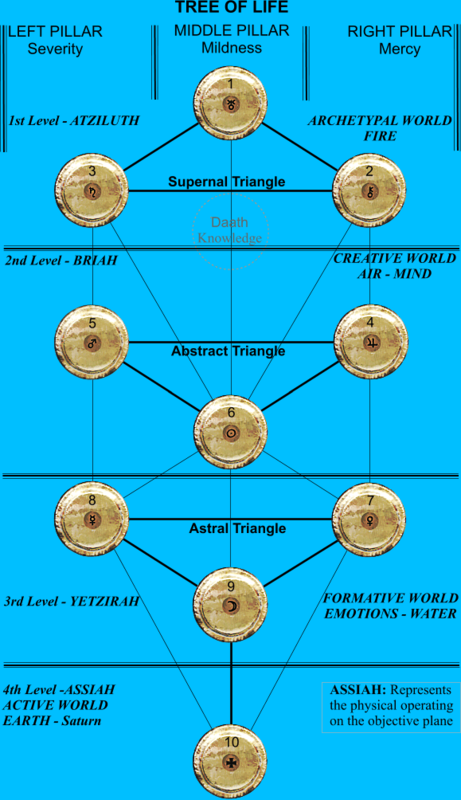 The next level of the tree of life is the third level called Yetzirah. This level represents the formative world; its element is water, which manifests it’s self through our emotions. This level contains three Sephirot, in the center is #9 Yesod, to the left is #8 Hod, and to the right #7 Netzach. 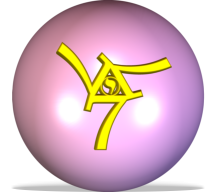 The ninth Sephirot, Yesod represents Foundation, and traditionally represented the Moon. Since the recent discovery of Sedna, I had been using Sedna’s forks in relationship to Yesod, but as Malkuth, the planetary consciousness has shifted. Now Yesod or Foundation is not only represented by the Full Moon, (L) but is also joined by Saturn (L) and the Zodiac Earth. I will again cover the updated placement first. In the updated placement, Yesod still has the Full Moon, but as I said the recently discovered planet, Sedna, joined it. Dealing with the Full Moon first. The Full Moon (L) as we learned earlier represents the tides on earth and the water in our bodies. The full Moon rules women’s menstrual cycles, digestive fluids, and synovial joint fluids. The full Moon is also a time of completion, fullness and harvest. Fork color is white. Sedna was discovered in February 2004. It is the first planet in our solar system to be named after an Inuit Myth, rather than the Greek/Roman myths. The Inuit culture is a community-based culture, which cares for each other and the Earth. This new planet is very unusual, representing the many changes needed to move us to a new understanding of what we need to do to save the Earth. She represents Unity, super conduction, super creativity, and super conscious. Sedna rules sound and waves. Sedna helps us access the deep layers of consciousness in all of us; unite it with our mind, body, spirit and each other. The color of the fork is dark purple with copper and bronze flecks of light in it. In the progressed tree, Saturn (L) and Zodiac Earth, join the Full Moon (L) in Yesod. As I’ve already covered both the Full Moon and Saturn,I will move onto Zodiac Earth. Zodiac Earth is the sound of the earth moving through the zodiac, a 26,000year cycle. We are currently leaving the age of Pisces and moving to the Age of Aquarius. This is a very expansive and relaxing sound to our physical bodies. The color of the fork is purple. The eighth Sephirot, Hod represents Splendor, ruled by the planets Mercury and Venus. However, it isn’t until the frequencies of Hod are progressed that Venus’ energies are included in Hod. 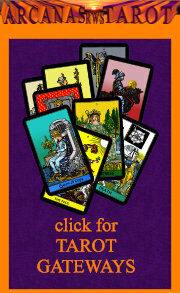 In both the accepted or traditional placement, all three levels of mercury are used. In the progressed tree, the lowest level of Venus joins all three levels of Mercury. I will cover the updated placements first. The planet Mercury is best known for its effects on communication, all forms of communication especially inner communication and listening. It also rules intelligence and knowledge. The vibration of Mercury helps us use reason to synthesis all we learn and make rational sense of it. It is good to treat the nervous system, conscious mind, and your voice. As ruler of the metal Mercury also known as quick silver, change can happen quickly, as well as synthesis on all levels of new vibrations. Fork color is silver. As I said, in the progressed tree, Venus (L) joins all three levels of Mercury. Because the importance of Venus, I will repeat what was said earlier: Venus (L) is known in history as the Goddess of love. Venus, here at its lowest level represents eros or physical love. This kind of love is that of desire. Physically we may desire to have a mate, children and take part in the pleasures of the five senses. (Good News pg.64) At the eros level Venus rules over physical love relationships. Venus helps see the pleasure in life, inner peace and fluidity in our bodies and lives. Despite this, because Venus is combined with Mercury, which is purely intellectual, she is beginning to transform her frequency into the mental range. Once again the Fork color is pink. On all three trees, the seventh Sephirot, Netzach, which represents victory, is assigned the planet Venus. Venus (L) at this level represents the same as in the #8 Hod energy only in Hod it is on the side of Severity and here in Netzach it is on the pillar of Mercy. Between the two pillars Venus is seeking balance between them. On both the traditional and updated trees, Venus is on her own, but in the progressed tree Chiron (L) joins her. As Venus has been covered above, I will move on to Chiron. Chiron arrived in 1977 to assist humanity with the healing they need for the current changes on Earth. Chiron is ½ comet, ½ asteroid. A planetoid, Chiron resides between Saturn and Uranus. Chiron is ½ man and ½ horse, a centaur, who was abandoned at birth by parents who were disgusted by his appearance. An incurable wound in his leg, combined with the foster fathering of Apollo, god of healing, set him on a personal journey towards greater wholeness, integrity, and love where he learned to practice the healing arts. Chiron is here to guide the way for us to reconnect our earthly and heavenly selves. It is in healing yourself that you will change the world. We must become what we seek. Become peace to bring peace into the world. How peaceful is your current life? On our path to wholeness we learn strength and compassion, for the journey and ourselves, this is the lesson that Chiron is teaching us at this lower level. We then have strength and compassion for others on their path and journey, so we can help. The color of this fork is Kelly green. The second level in the tree of life is called Briah and is ruled by the element air, which is manifested through the mind. The three Sephirot are: in the middle #6 Tiphareth, to the left #5 Geburah and to the right #4 Chesed. The sixth Sephirot, Tiphareth, which represents Beauty, the Christ and the Sun traditionally, represents appropriately the Sun. In the updated tree the planet Nibiru and the asteroid Hestia or Vesta joined the Sun. In the progressed tree, Nibiru has moved down to Malkuth, and Venus joins Hestia or Vesta and the Sun. Dealing with the Sun first. Like Hod and Mercury, on all three trees, all three levels of the Sun are used. The Sun warms, nurtures, and lights the way for us. The sun gives our planet the ability to support life and grow food. The sun encourages us to seek the wisdom in our lives and how we can improve our home (Earth). Every day the Sun rises, giving us new light in the world, vitality for daily life and self-esteem to go out in the world to make a difference. The sun rules our heart and the spine; the heart is the generosity of life and the spine to go forth to serve each other. The sun is unconditional love because with every new day we are given the opportunity to be the best we can be, regardless of yesterday. On the updated tree, the asteroid Hestia or Vesta joins the Sun and Nibiru. As I said in all three trees, the Sun represents Tiphareth. As this is the progressed section of Tiphareth, I include the Sun forks here. Hestia/Vesta is an asteroid fork that represents fire, the fire that makes a house a home. She is the gentlest of all the goddesses. She is said to be a Vestal Virgin, whose job was to tend to the sacred fires. Many cultures believe that the fire in the house makes it a home, and upon the wedding the new couples would take a flame from each families house and light the new hearth with it. Because of the profound influence of the asteroids on our biological history, they link us back to their ancient DNA remnants. The color of the tuning fork is light orange. Once again in the progressed tree, Venus makes an appearance, only this time it isn’t the lowest fork it is the middle one. Venus (M) in this level stands for “Philo” from which the word philosopher comes. (Good News pg.64) This kind of love is the love of knowledge and learning. Venus is now on the pillar of mildness; we are now balancing between the two pillars of severity and mercy. We all know it is in the middle that the harmonious part of life resides. Most of us have experienced this balancing act with the discipline of a child, it is somewhere in the middle where we get our point across, yet with love. It is also at this level when we start to see a more expanded view of love. When we love knowledge we seek new information and new levels of understanding each other and the world around us. We now want a different kind of relationship, more of a partnership, we want and need to understand and be understood. We are now seeking the harmony and inner peace that Venus offers. The 5th Sephirot, Geburah represents Severity, Mars and the Demiurge. Traditionally, Geburah represented just the planet Mars, however, in both the updated and progressed trees Mars’ higher octave, Pluto joins Mars. First lets examine the archetype Mars and what it represents. Mars energy is active energy; it is the art of doing. Mars helps us set boundaries, act on our decisions and protects us. Mars has been associated in history with Ares and the God of War. While most of us are softening our need for war, we still need the courage to take action and let our voices be heard. By balancing Mars energy, we can do that, stand up for our selves, and yet remain open and loving to the other person. This would be a representation of a balanced Mars energy. Mars rules our adrenals, our muscles, our red blood cells plus the iron that goes with them. Mars is here to protect us, set our boundaries, gives us courage and the determination to keep going on our path. The tuning fork color is red. Pluto energy is said to be a higher vibration of Mars. Pluto is the great transformer. Pluto represents death and rebirth. You know when Pluto energy is in your life everything falls apart, on all levels, it can be a dark time in many peoples lives. Yet in this darkness, a new light is seen and a new live is born. The fourth Sephirot’s planet, like all seven of the lower Sephirot appears in all three trees. Chesed represents Mercy, Jupiter, and the Demiurge. Jupiter remains alone until the progressed tree, when Juno, the asteroid joins her husband. Dealing with Jupiter first. Jupiter represents expansion, the journey to divine truth, and growth at the physical, mental, emotional, and spiritual levels. Jupiter shows us a world that is full of abundance, optimistic, fearless, understanding and socially consciousness. The physical organ in the body that Jupiter rules is the liver. The liver energy in Chinese medicine can be seen as creative and planning. Jupiter energy helps keep the energy running smoothly through out the entire being. The liver energy stagnates when we are under stress. Therefore, Jupiter helps us when we are feeling stuck by expanding our consciousness and energy. Jupiter has both male and female characteristics and the fork color is lapis blue. Juno/Hera is the wife to Jupiter and is the queen of the gods. The energy of this queen represents a powerful feminine energy. Many compare Juno or Hera’s turbulent marriage to Jupiter to the trials that one encounters on the spiritual path. Her strength and commitment is what is required to continue on the path. The color of the tuning fork is rose. Leaving Briah, we reach the highest or most spiritual level on the Tree of Life, Atziluth. This is the Archetypal plane, and I related earlier how Creation begins on the Archetypal plane. To recap: …The Archetypal plane is where the thought or idea starts. This could be seen as a flash of inspiration – The Creative plain is where the idea becomes structured, in other words imaged or imagined. The Formation Plane is where the idea is seen in the minds eye i.e., visualized and given form. The final level, The Active or material Plane is where the idea is materialized. Before we examine the three highest Sephirot, I would like to discuss what I consider the most important Sephirot for this time, Daath. Technically Daath isn’t a traditional Sephirot, because “she” does not appear on the traditional Tree of Life. However, because Daath represents the link between the macrocosm and the microcosm, “she” is the door to the highest level of spirituality. Until recently, Daath wasn’t directly associated with any planet, but because Daath was thought to represent Supreme Justice, “she” was loosely connected to the planet Venus through Venus ruling the sun-sign Libra. Nonetheless, since the discovery of Sedna, and Nibiru the sun-sign Libra, which epitomizes balance, can be assigned to rule both Sedna and Nibiru. Because Daath doesn’t appear on the traditional Tree of Life, we will go straight to the updated tree. On the updated tree four astrological elements were assigned to Daath, the Moon, Venus, Neptune and the asteroid Juno. Now in the progressed tree, Sedna has taken “her” rightful place in Daath, replacing the asteroid Juno. From a consciousness perspective, Daath represents wisdom and knowledge, plus unity and unification of all on the tree of life. (The Mystical Qabalah pg.329) As stated, the planetary vibrations are the New (H) and Full Moon (H), Venus (H), Neptune, and Sedna. The new Moon (H) and the full Moon (H) energies are represented here. The two stages of the Moon represent polar opposites, yet here in Daath we are uniting the Moon to create balance emotions. These emotions do not rule us or keep us off balance. We have moved to a place of unity. The forks are metallic blue for the new Moon and white for the full Moon. Here is the highest level of the Venus energy called “agape love” self less love. (The Good News pg.64) This is where you want the best for someone, more than you want something for yourself. Sometimes this will even be at the expense of what you want. When we all are operating at this level the world will change because we will be thinking with our hearts and wanting what is best for the world. We will be united in Love. The fork color is pink. Neptune is the energy of the collective subconscious. It is here to awaken our mystical path. Neptune is the connection of all of us. Physically, I rule the feet, the thalamus and the fluidity of the water in our bodies. Neptune helps us feel inspired and united to each other. 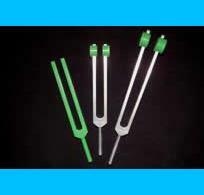 The color of the tuning fork is sea foam green. To recap what was said earlier about the discovery and myth of Sedna: Sedna was discovered in February 2004. It is the first planet in our solar system to be named after an Inuit Myth, rather than the Greek/Roman myths. The Inuit culture is a community-based culture, which cares for each other and the Earth. As I said, the highest or first level in the tree of life is called Atziluth. This level on the Tree of Life represents the element fire and the unmanifested dynamic active principle of the soul. It contains three Sephirot #3 Binah is on the left pillar, #2Chokmah is on the right, and in the middle at the top is #1 Kether. The first Sephirot of the Atziluth’s plane follows all the Sephirot that have preceded it by following the traditional Tree of Life. In this way, the traditional planet, Saturn is assigned to all three trees. The third Sephirot, Binah represents Understanding, the Creator and the planet Saturn. In both the updated and the progressed trees, the planetary vibrations are Saturn (H) and Ceres. As there is no change between the updated and the progressed, I will move directly to the progressed. Saturn (M, L) still represents the same qualities that it did at the lower level but here is really helping us with patience, by assisting us in fulfilling our destiny one step at a time. The tuning fork color is copper brown. Ceres/Demeter is the great mother asteroid; she is the largest asteroid in the asteroid belt. NASA has even thought about using her for a refueling station to make longer space travel available. She therefore is nourishment, sympathy, and motherly love. The tuning fork is a small blue/gray fork. The second Sephirot of the Atziluth’s plane is the first Sephirot to drastically change between the traditional and the updated and progressed trees; consequently, I will not dwell on the traditional placement, but move onto the updated and progressed. However, it is important to understand that Chokmah represents Wisdom and The Christ and the planet Chiron (M). In the updated and progressed trees, the planet assigned to the second Sephirot is Chiron. In addition, and again in both trees, the planetary energy of the asteroid, Pallas/Athena, is also associated with this Sephirot. Chiron at this level has the same qualities as before, yet now it has added self-sacrifice, we have been working on healing our selves and now we are helping others. We have grown and developed compassion for ourselves and we now have plenty to give away to others. We know the strength it takes to heal ourselves and we will encourage others with our strength. We are now seeing the vision of our destiny. Chiron is here to guide the way for use to reconnect our earthly and heavenly selves. It is in healing yourself we will change the world. We must become what we seek. Become peace to bring peace into the world. How peaceful is your current life? On our path to wholeness we learn strength and compassion, for the journey and ourselves. We then have strength and compassion for others on their path and journey, so we can help. Pallas/Athena is the asteroid goddess of wisdom. She helps us with rational thinking, strategies and father issues. The color of the tuning fork is Zinc yellow. Chiron (H) at this level is representing our destiny. Through our own healing, we are now called to move through and beyond the physical wound and reunite with our divine origins. The new Moon is represented here. It is the darkest part of the night and it is said to be when the veils between heaven and earth are at the thinnest. So we can easily access information that will help transform our darker emotions and bring them to the light of the full Moon. The new Moon fork is a metallic blue fork. Uranus is the spark of creativity, originality, innovation and even rebellion. Uranus is the electric ideas of change. It is also the electricity in the world, like lightening. It also rules the electrical current within our bodies. Uranus helps us respond quickly to the change that is needed on your spiritual path. The color of the fork is sky blue. We have now completed our journey of the Tree of Life. The tuning forks we previously discussed are just one note, representing the archetype. But we want movement, we want to create change, so we need to learn about intervals. An Interval is when we use two notes to create movement. One note first, then a second note or tuning fork in our case, which will move us to a new place. This is where we start to layer in archetypes, with intervals, this sounds confusing but not if we take it one step at a time. Above we learned about the archetypes, now we will learn about the intervals. The first interval is the Unison, in the Acutonics system Ohm, Earth is the foundational tone, and to create a unison tone we listen to the same fork, creating a balanced feeling. The next interval is a third. One way to create it is with the Ohm Earth and the Zodiac Earth. This is an expanding, relaxing and releasing interval. It feels great on tight muscles. The next interval is a called the Earth Day Fifth. This interval is used with the Ohm Earth and the Earth Day fork. It is tonifying and energy generating, increasing our physical energy. The New Moon Fifth is the interval created with the Ohm Earth fork and the New Moon. A fifth interval is half way to the octave and is an opening or gateway to bring us closer to the next home note. This particular Fifth opens and moves our emotions, releasing tension. Another Fifth is made with Mars and Venus. This fifth helps balance our active and passive energies. An example would be setting boundaries in a caring loving manner, which helps both parties. The Sixth is the next interval, made with the Ohm Earth and Full Moon. The Sixth interval brings things to fullness and completeness. It also mathematically represents the Golden Mean. The Solar Seventh is made with the Ohm Earth (L) and the Sun fork, and it is warming and re-vitalizing. It is good for warming up stiff joints, increasing our self-confidence, boosting our immune system and overall brightening our lives. The Octave is next, we make it with Ohm Earth (M) and Ohm Earth (L), we have now moved from one octave to the next, literally raising up one vibration level. These are the main intervals we use in the Acutonics® sound healing system, but on occasion we may want to create a dissonance sound, this is made with two notes that are very close to each other and they don’t sound nice. This sound creates a tension in us, we want to get away from it, and this sound makes us want to move. I hope you are beginning to understand the power of sound, archetypes and overall vibration. It can heal us, change us at our core levels, open our hearts and unite our spirits. By each of us committing to heal, raise our vibrations, change the way we think and make different choices, we can bring Heaven to Earth, because the Kingdom of Heaven is within each and every one of our hearts. The tuning fork sets and frequencies are part of the Acutonics® Sound Healing system. The study of these archetypes and intervals can be learned in more detail in their certification program. Judy Bernard has been a practitioner and instructor for the last 6 years.